“The book attempts to gauge and analyze the level of denial and deprivation faces by Indian Muslims so far by presenting their correct situation after twelve years of that two reports. It presents and discusses the current conditions with respect to outcome indicators such as Population, Education Economy, poverty, unemployment, consumption level, availability of bank Loans, infrastructure and civic facilities and representation in government employment. By placing facts in perspective, it also discusses community-specific issues such as use of Urdu, Madarsa education and Wakf. Responses of various Political formations have been presented in a proper sequence to generate a coherent view to ensure implementation. In the post Sachhar era , Govt started many schemes to improve the condition whose reach and impact is assessed with the help of latest data. It presents the social structure of muslims presence of OBC’s and Dalits and suggests a practical Pattern for reservation. It follows up the process of Implementation of recommendations of these reports highlights how the Govt. adopted tokenism, attempted to implement minor recommendations and shied away from major ones. It presents the lopsided attitude of the present regime and accelerated marginalization of Muslims in today’s scenario due to the open discrimination, mob violence, lynching and hate crimes in the name of various communal issues. “Sachar committee reports in November 2006, and the Rangnath mishra committee reports in May 2007, and Prof. Amitabh Kundu report by January 2015 rightly diagnosed the disease / reasons for alround backwardness faced by the muslims community so far as their backwardness in all respects – Socio economic, Political representation and educational etc. are concerned. Instead of taking remedial measures, implementation of their recommendations , these diagnostic reports have been thrown to dustbin by all the respective Political parties at the helm of affairs either in state of at centre for last twelve years and the Muslims suffered further and slipped from bad to worst. ” In the Name of Plural Secularism , the kind of politics that was pursued over a period of time revealed that it was basically a favor to Muslim conservatism, rather than of Secularism perse, this is how the significant sections of Hindus have been made to loath the very ideas of Indian Secularism. This partly explains why and how the BJP and its affiliates have now become a hegemonic political force. Backed with state power, the Hindutva rabble rouseser now openly lynch Muslims, and they are mocking at every rule of law, they Video and circulate it and even then the lower judiciary in certain cases lets off the perpetrators. This demonstrative Lynching and victimization is also a kind of statement throwing a challenge to the political formations thriving on Muslims votes by saying “Look” this is what we are doing to your consistently loyal voters and if you have the political guts then come out to act and save your support base ” Silence and Inaction not even tokenism of statements are the responses of most of such political Parties and leaders, these days. Gone are the days of Politics of Minorityism as muslims are now being projected to be an electoral liabilities. The Party talking of Muslims stands to loose Hindu votes. The Book ” Denial And Deprivation” of Indian Muslims after the Sachar committee report and Rangnath Mishra Commissions report presents the conditions of Indian Muslims on the various Indicators using Latest Data gathered form various sources , the book is based on Govt. reports , various reports presented in the Parliament and the state Assemblies reports published by several organizations and NGO’s , news paper reports on internet articles written by scholars and Information collected through R.T.I. etc. The Book Concludes the conditions of Indian Muslims especially their backwardness in all respects based on various factors and indicators. The Book has 21 Chapters (including an epilogue) covering all aspects of Muslims life. Initailly book Comes to the conclusion that U.P.A. adopted tokenism, lip services and threw crumbs to the community which failed to bring any change in the status of Muslims, in the Modi regime due to various factors, threatening life and property. The net result is concern of safety and security have taken over concern of socio economic and educational Progress. Lastly a roadmap on what needs to be done at all levels -State, community and individuals has been emphatically suggested in the light of level of deprivation marginalization and intellectual observation. Author’s (Abdur Rahman) efforts is to create a perception. Where Muslims problems could be treated as national Problem. The book emphasizes the need to take concrete steps for “inclusive growth and main Streaming” of Muslims to make India a great nation, a powerful nation, and a nation which takes care of all its citizens as enshrined in constitution of India. 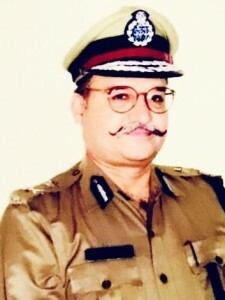 Abdur Rahman, A member of the Indian Police Services(I.P.S.) has been working for more than twenty-one years at different positions in Maharashtra. Belonging to a small village in Bihar. He Obtained a B. Tech Degree from Indian Institute of Technology, Kanpur. His First book, In Hindi, Sachar Ki sifarishen (recommendation of Sachar) 2012was widely Praised. He writes and Lectures on a range of socio economic and educational issues from the perspective of the marginalized and securing socio justice to the deprived.